Troy Luccketta is well known as the drummer of the band “Tesla”. Troy’s accomplishments have also titled him as an inspirational speaker, producer, teacher, and activist. Troy was born in Lodi, California and moved to Dublin, California where he spent his childhood growing up. According to family sources, even in his early childhood you would find him heading up a group of young fellow potential musicians to come join and play their instruments of choice while he played a rhythm that seemed to come naturally. 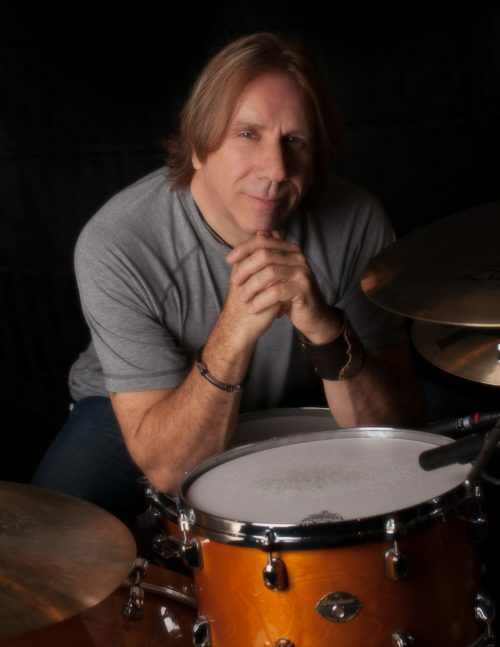 In the beginning of his career as a drummer he played in bands such as Whisper, Benny and the Jets, 415 and the Eric Martin Band. In more recent years Troy’s drums can be heard on the records of Doris Day and Freda Payne’s R&B. Troy considers one of his highest achievements his drum set work on the Keith Emerson’s critically acclaimed, The Three Fates Project, with Terje Mikkelsen and his Munchner Rundfunkorchester. Although, this orchestrated music was out his of comfort zone it has become one of his most respected work by his peers. Beginning in 1993, he owned and operated four recording studios under the moniker of TML Studios/Production. He educated himself on Pro Tools. His engineering skills led him to the project, Ronnie Montrose’s Gamma 4. A brief break up with Tesla in 1996 compelled Troy to take a new direction in life. “Timing has a way of providing one with opportunity close to ones heart”. Troy took this opportunity to take a break from touring and stay home and be a part of his son’s golden years through high school. For the next four years he ran his roofing company and remained tapped into his music career as well. He studied with Berkley School Grad, Rob Hart, while taking classical piano. In 2001 he studied under Dom Moio, a highly skilled Latin-jazz player by taking a semester at Mesa Community College. During this time he obtained his certification of completion for Pro Tools at Conservatory of Recording Arts & Sciences. Troy’s passion for growth inspired him and “student became teacher”. Tesla in the year 2000 came back together for one show at the Arco Arena in Sacramento, which sold out and became a now “30 plus year career”. During Troy’s music career and aside from Tesla, he has been playing and contributing his drums including in 2010 a tribute album titled Mister Bolin’s Late Night Revival,a record A Way Around It, has been released with one of his new bands Saville Row. He also played his drums in a new project, Whitford St. Holmes (Brad Whitford of Aerosmith and Derek St. Holmes of Ted Nugent). Another band he recently recorded an EP, Dixie Horsepower. In the mist of a busy career Troy has found time to contribute to various charities as a promoter and/or volunteering his talents. In addition he recruited other artists and musicians to play at various benefits. All who have come to know Troy for his warm heart may say “He is a man on a mission when it comes to gathering the troops for support of family and friends in need”. Included in a list of many is the 2008 Station Nightclub Benefit Concert, covered by VH1 and raising approximately $1,000,000 for the victims and their families of the Station Nightclub fire in Providence, Rhode Island. Today Troy now exerts his passion and energy, along side with his wife Linda Luccketta, into their own non-profit (501(3)(c) foundation that started in 2012, A-Song4Wellness.org. Troy is actively promoting a program called “Troy Shows Up”. Etching his passion as an inspirational speaker and taking a message to youths about overcoming people pleasing and substance addiction by sharing his story. Troy will also take this opportunity to open a door to awareness of living a healthy lifestyle through nutrition. He resides near Nashville, Tennessee where he continues his plan on building a site that would support A-Song4Wellness goals.